Rocky Mountaineer’s GoldLeaf carriages at present are nothing short of impressive. Split across two levels, with an onboard chef in the dining cart on the lower floor, it’s no surprise this class of service is award winning. 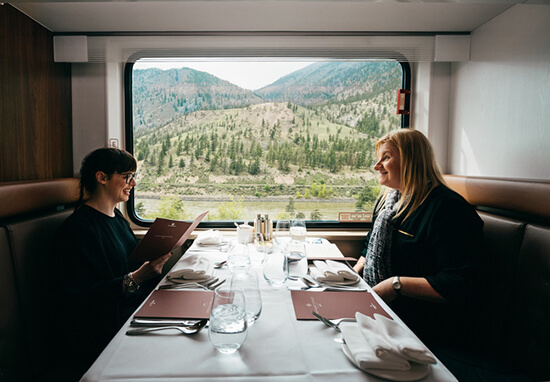 On the two-day Journey Through the Clouds itinerary – just one of several route options – you’ll ride the rails from Vancouver to Jasper, overnighting in Kamloops. Your time as part of the Rocky family will consist of first-class commentary and storytelling from your host; delightful three-course food and wine pairings – prepared lovingly onboard and inspired by local produce (the sockeye salmon and braised Alberta beef short ribs are our favourite dishes); and plenty of dramatic scenery, shared with like-minded travellers. And speaking of that scenery, most importantly, let’s talk more about the panoramic roof and vestibule (an outdoor carriage/platform). These two elements are your windows to the beautiful Canadian wilderness – parts of which can’t even be reached by car or on foot. 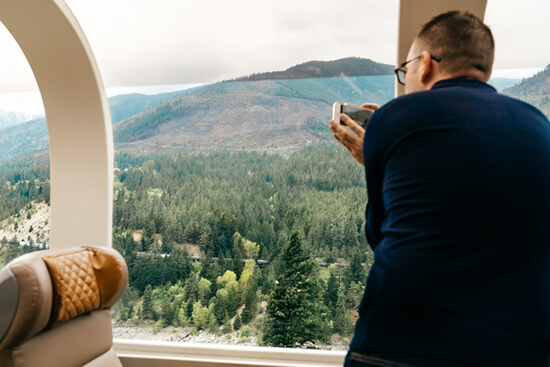 You’ll see towering forests and peaks above you through the roof and, as you grab some fresh air on the vestibule, you’ll feel the spray of the mighty cascades you pass; make sure you’re outside when the train travels past Pyramid Falls – your host should let you know when. 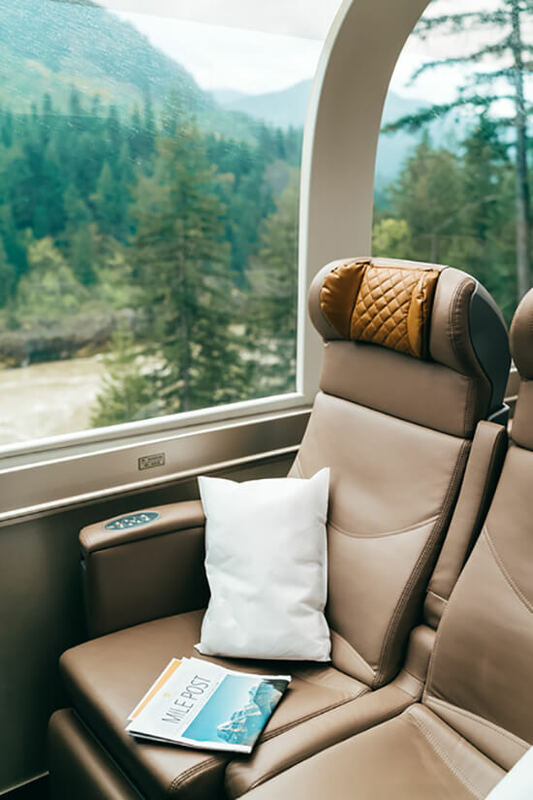 In the words of Rocky Mountaineer: “These custom-designed, custom-built railcars will be completely re-engineered with efficiency and guest comfort in mind.” But what does that mean for your experience of one of the world’s greatest train journeys? Well, these new carriages – built in conjunction with railcar giants like Stadler and CANARAIL – represent the largest capital investment in the train company’s 27-year history. So that means some serious upgrades. For starters, there’s some new seating to shout about. Custom-made, heated and leather – these are the seats of rail travel dreams. Guests will be able to recline without impacting those sitting behind them and charge their electronic devices without getting up, thanks to USB and 120V outlets. So you'll never have to worry about running out of camera battery and missing that perfect bear picture. The interior design will see a refresh as well, and there's plenty of work happening behind the scenes too: think improved electrical, lighting and plumbing systems. Simply put, the term 'best in class' is being taken to an even higher level with this refurbishment. And with all new GoldLeaf cars expected to be replaced by 2020, there's never been a better time to hop aboard. 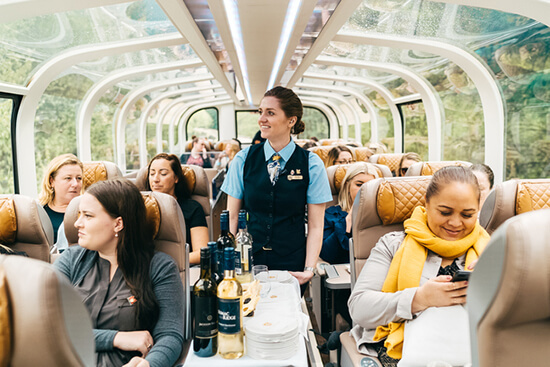 Make an appointment with one of our Travel Experts to find out more about what your Rocky Mountaineer experience could look like, or check out our tailor-made Rocky Mountaineer holiday. From £2,685pp, this nine-day Journey includes time in Vancouver, onboard the train and exploring the glacier-studded, mirror lake-packed Icefields Parkway.